Sitting in a desk being lectured by a teacher is so old school. Forget the superficial class projects and made-up problems. Imagine students who take learning into their own hands. Working individually and in teams, these students explore the world around them, select a challenge to address, learn what they need to know to do so, and then deliver. They present their ideas to school and district administrators, pull the community together, and create something with lasting impact. With their teachers as facilitators, students become the kind of open-minded, action-oriented leaders this world really needs. At Oakcrest Intermediate, sixth-grade math students started off with a question about campus sustainability and a $500 grant from EcoRise. It was teacher Haley Galyean’s first foray into project-based learning. Project Based Learning, or PBL, is a teaching method in which students gain knowledge and skills by working for an extended period of time to investigate and respond to an authentic, engaging and complex question, problem, or challenge. The Oakcrest students challenged themselves: how could they make geometry come to life for the good of their campus and the planet? The answer: The People’s Green Spring Garden of Recycled Arts. It was the result of multiple design iterations from the whole class. 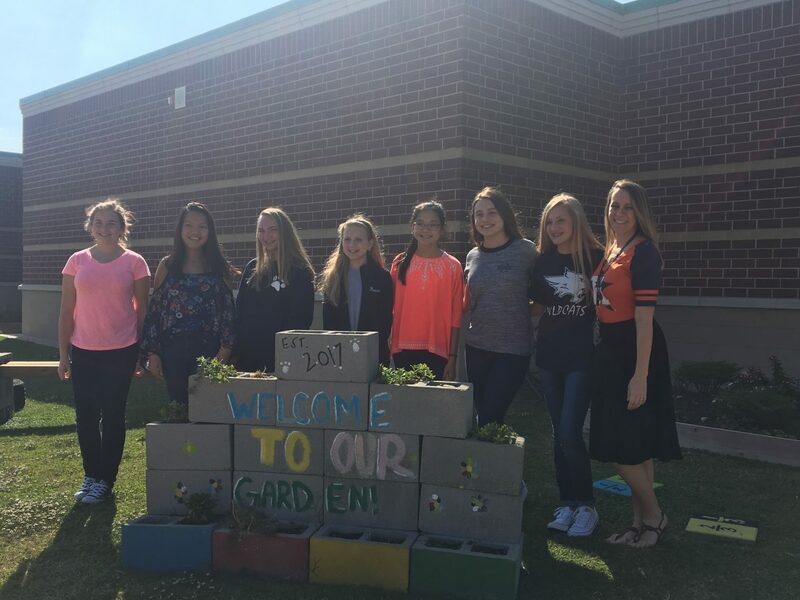 “We kind of combined every group’s ideas into one garden that could include everything we all thought of,” said Allison, age 13. Setting aside their nervousness, the students pitched the idea to their principal and district superintendent, who loved it. Then they researched structural design, landscape architecture and plant life cycles. They solicited donations and managed their limited budget. They got their parents to join them for their weekend building day, and invited the whole school to maintain the space with an ongoing Garden Club. And they got nature’s approval – birds and butterflies showed up right away. “It really taught us a lot about unity, how this one garden could just unify our whole community,” said Meibeth, age 12. 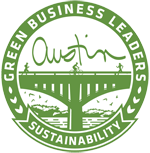 EcoRise’s PBL Academy trains and supports teachers in transforming passive learning into active participation, linking multidisciplinary programs with sustainability education. 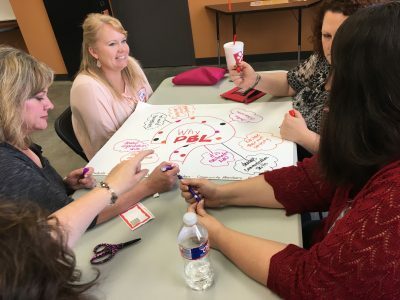 As part of Tomball Independent School District in Texas, teachers and administrators at Oakcrest and across the district are training on PBL Academy over a two-year period with EcoRise. Dr. Martha Salazar Zamora, TISD school superintendent, said the district is immensely proud of their fearless teachers and the value PBL Academy brings to their students’ development, but notes that such an undertaking can be intimidating. 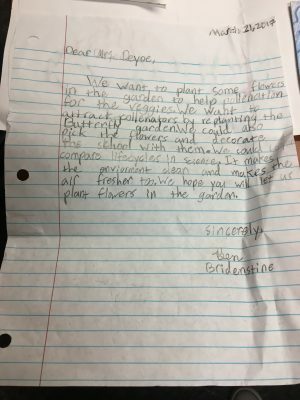 Second grade student petitioning school administration for permission to plant flowers in their vegetable garden so the ecosystem would flourish. 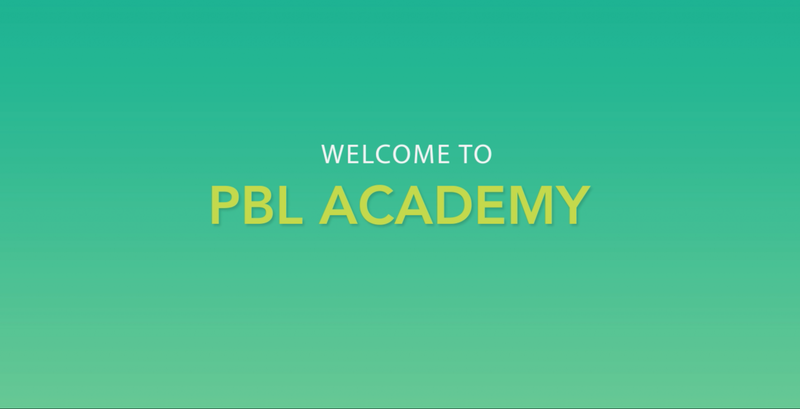 To learn more about EcoRise’s PBL Academy, click here.